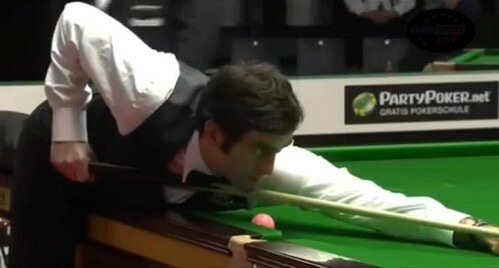 German Masters 2012: Ronnie O'Sullivan completed a magnificent comeback, beating Andrew Higginson by 5-4 from 0-4 down. Higginson frozen the Rocket in the first three frames with breaks of 67 and 80, as well as winning the tight frame 4 on the final black to go 4-0 up at the interval. Everything looked perfect for the Widnes man but Ronnie got to the match with 86 to win his first frame in the match. 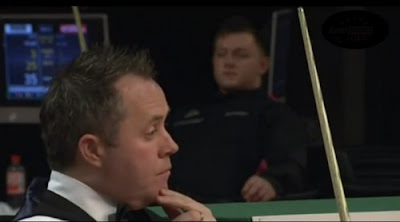 The following was a Nightmare for Higginson - He ran out of position on 63 and just a few points from winning the big match but 67 total clearance from Ronnie helped himself to stay in the match. The scoreline was getting closer. A break of 60 by The Essex man made it 3-4 and all the pressure was on Higginson. Higginson could not hold his nerve, missing couple of chances to win the match which allowed The Rocket in to force a decider. Ronnie looked fearless in the decider as he was going for a maximum but missed on 56. Higginson was left a chance but only scored 20 points, Ronnie added 48 to complete his magnificent comeback. "Andrew played well and I was lucky to win," admitted O'Sullivan, who flew into Berlin with artist Damien Hirst on a private jet. "At 4-0 down I hadn't done a lot wrong. It was a great atmosphere and I enjoyed the comeback." He still needed a good run in Berlin to secure his Top 16 spot so as to avoid qualifying for the Crucible this year. He will play Joe Perry, who beaten Ali Carter also in a decider from 3-4 down. On the same day, some of the round 2 matches were underway. The most noticeable scoreline was created by Stephen Maguire. He had whitewashed 'The Wizard from Wishaw' John Higgins with runs of 89, 74 and 52. This was the first whitewash suffered by Higgins in a full ranking event in 16 years. Berlin seemed not working for Higgins as he withdrew from second round of event last year as he received the news of his father's death. 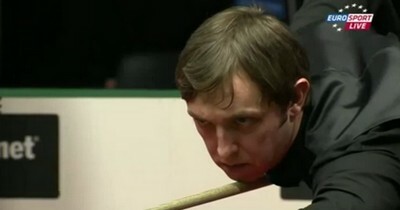 On-fire Maguire will play Judd Trump in the quarter-finals, who saw off Mark Allen by 5-2. Allen won his first round match with a comeback 5-4 from 1-4 down to Tom Ford. Yu Delu, who qualified for TV stage of ranking tournament for the first time won the all-Chinese first round match against Ding Junhui. Unfortunately, his run was ended by Stephen Lee in the second round. Matthew Stevens set up a clash against Neil Robertson in second round. Shaun Murphy booked his seat in the quarter-finals after beating Ricky Walden 5-2, awaits the winner between World Number 1 Mark Selby and Graeme Dott.